I would like to introduce our organization Natural Storage Solutions pvt ltd. that specializes in the business of manufacturing food processing equipment. We have been specializing in this business since last two decades Our client list includes the reputed organizations in the India & across the globe. We not only provide turnkey solutions for post harvest project, but also capable to do job work of goods as our facility is having good infrastructure equipped with imported machines and skilled labour. Our clients have been satisfied by our service and we have never received a single complaint since the inception of the business. It would be a great honor do business with you and that will add another reputed organization in our client list. I would be highly grateful if you consider us for providing job work of goods. I am also attaching a presentation of our company profile with detailed description of available machines stating our presentation. We take pleasure to introduce ourselves as one of the renowned firms for providing the best-in-class Milling Job Work Service.Vertical Milling Job WorkWe are the leading service provider to offer our precious clients an optimum quality Vertical Milling Job Work service. 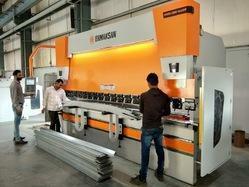 We are engaged in offering a wide range of VMC CNC Job Work to our valued patrons. 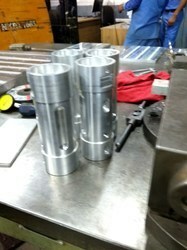 ... We are engaged in providing VMC Machining Job Work to the clients. 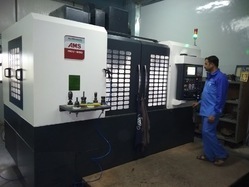 ... We are reckoned in the industry as the leading service provider offering optimum quality VMC Machine Job Work to our clients. With the aim of attaining pinnacle success in the market, we are engaged in offering best quality Heavy Plate Rolling Job Work. Our offered services are synonymous to reliability and assurance of satisfaction, as we have installed the most advanced CNC machinery for cutting metal components. The offered services encapsulate precise cutting of stainless steel, mild steel and aluminum sheets as per the clients’ drawings. 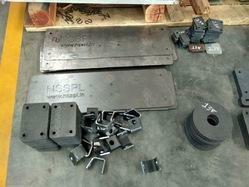 Further, we are offering the competitive services for varied thickness range at a leading price. 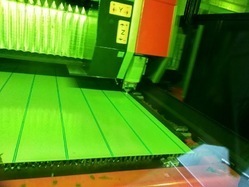 Offering you a complete choice of products which include CNC Laser Cutting Job Work such as CNC Laser Cutting Services, CNC Metal Laser Cutting Services, Laser Job Work Services and MS Laser Cutting Services.As we have totally new concept in laser cut furniture, we have lots of design to work on, we also welcome the opportunity to work with your creative team. Between us, the creative possibilities are endless. 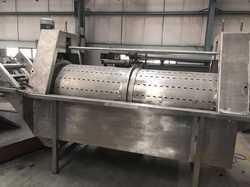 Carrot washer made 100% from SS 304 dispatch to our one of the most valued client.